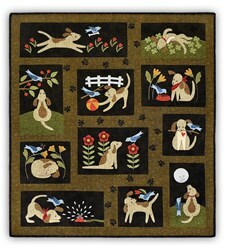 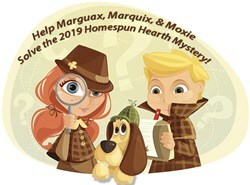 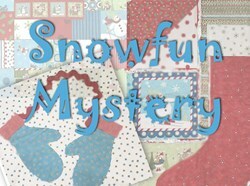 With this item you will earn a minimum of 53.67 Points in Homespun Rewards! 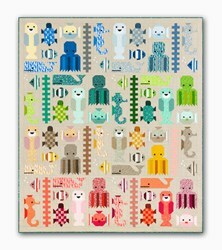 This is a true Masterpiece! 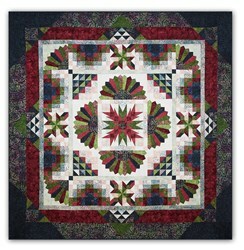 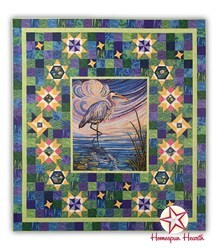 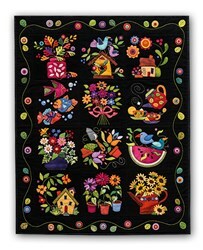 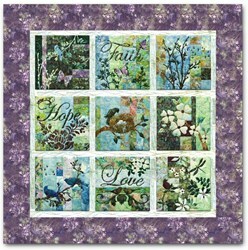 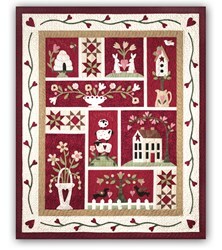 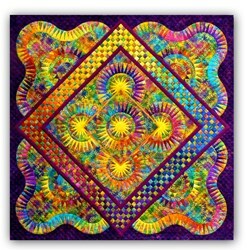 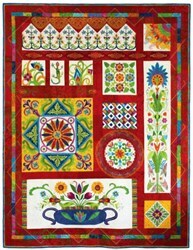 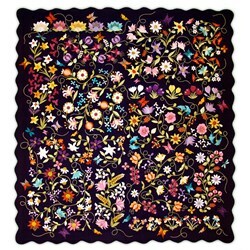 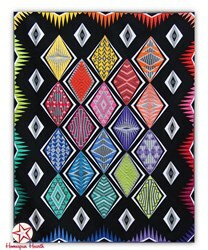 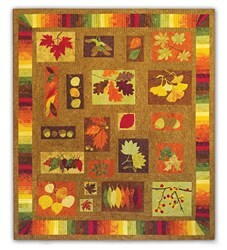 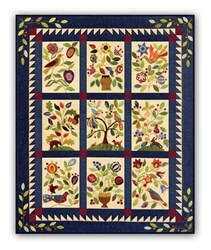 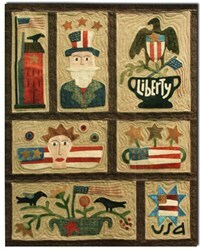 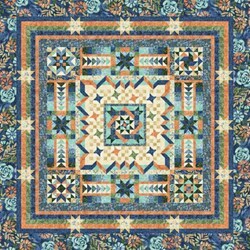 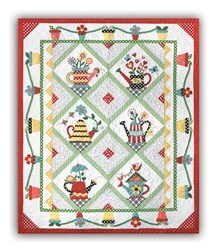 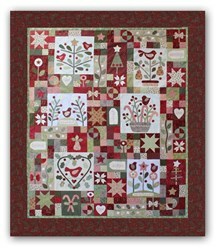 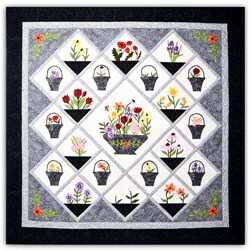 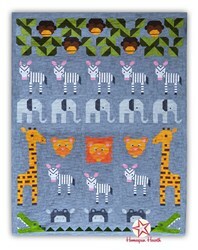 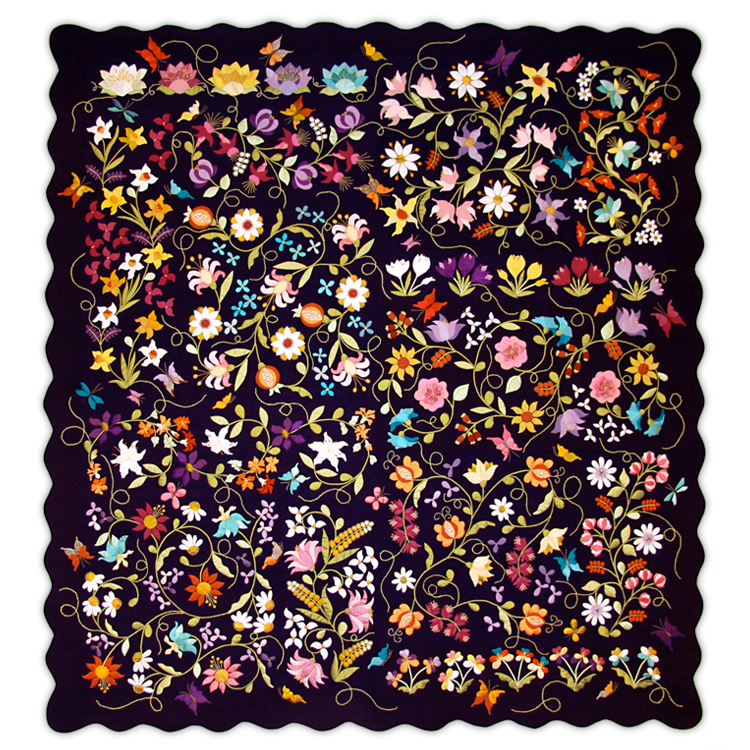 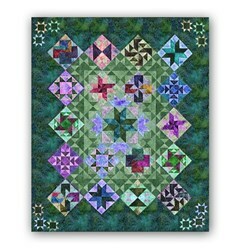 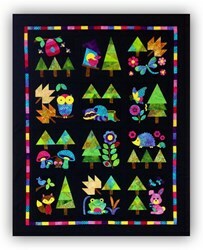 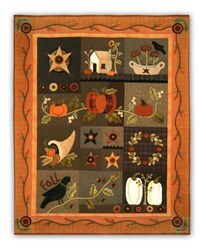 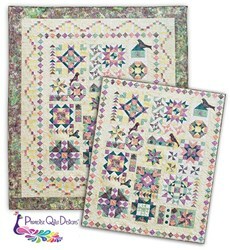 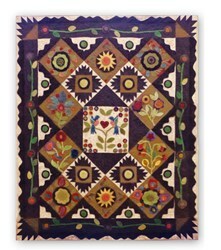 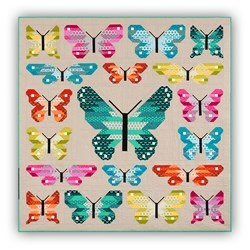 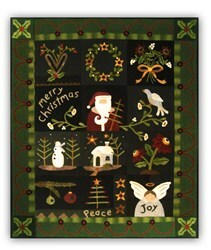 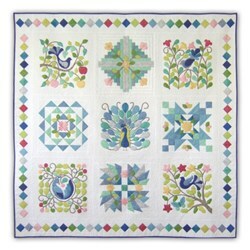 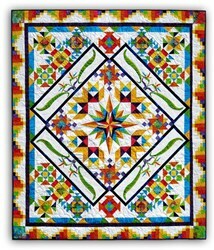 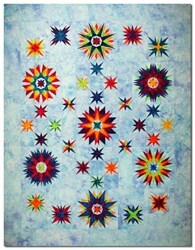 The Euphoria quilt, designed by Deborah Kendall - stunning, vibrant colors pop on the black background. 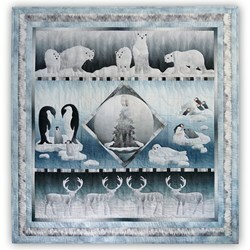 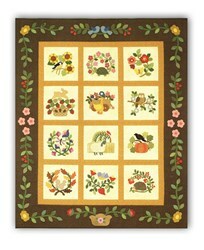 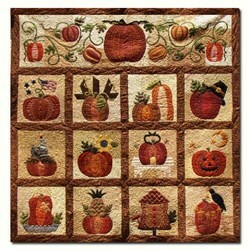 This is a quilt that will be treasured for generations to come. 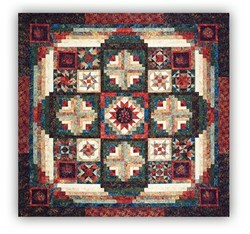 Finished Quilt measures 81" x 87". 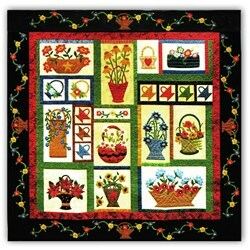 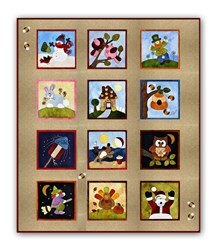 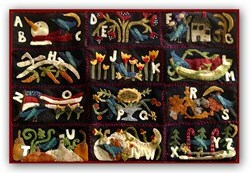 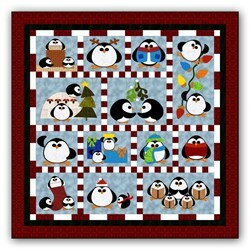 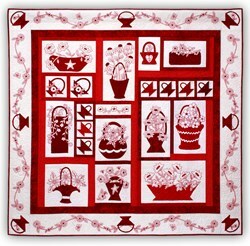 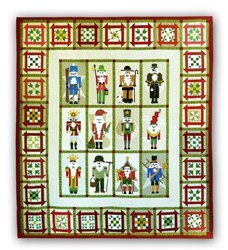 The kits include all of the fabrics required to complete the quilt top, including the black background and binding. 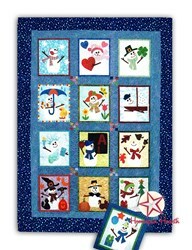 This is a 14 Month Block of the Month and the cost of the block of the Month is $24.99 per month plus shipping and the initial reservation deposit. 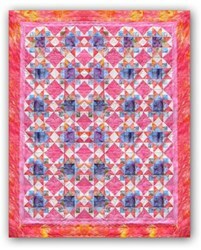 The Accelerated Block of the month is a 7 month program. 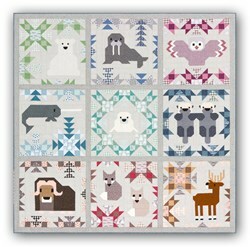 You will receive 2 blocks per month and on the final month you will also receive the border finishing fabrics. 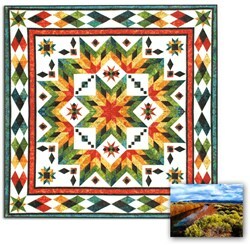 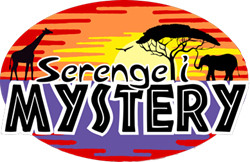 The cost of the Accelerated Block of the Month is $49.98 plus shipping per month and the initial reservation deposit. 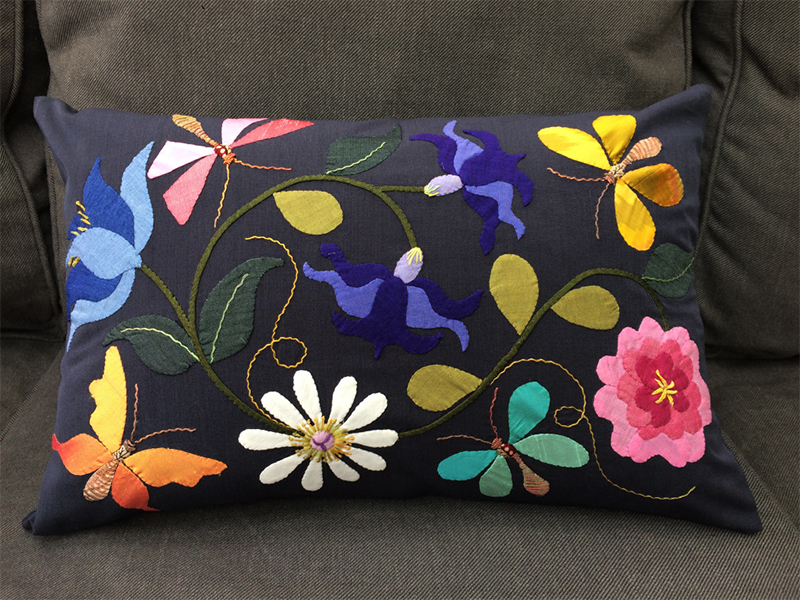 On the final month of your shipment, you will also receive the fabrics to complete a complimentary pillow design by Deborah Kemball. 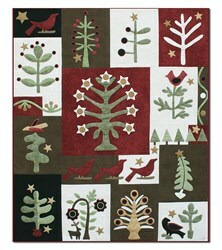 This pillow measures 12" x 19" - and is our gift to you! 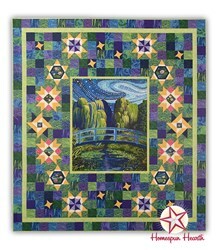 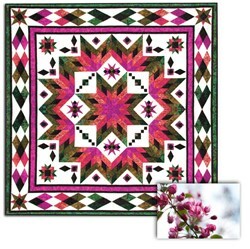 This is the perfect complement to your stunning quilt! 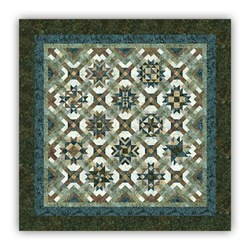 We offer the Backing -Cotton - $48. 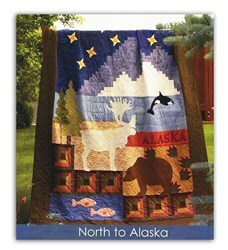 This will be sent with your first month's shipment. 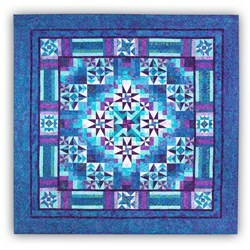 US Shipping is Free, and our International friends receive a 20% Shipping Discount. 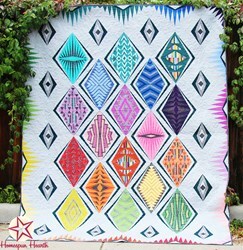 Kimono Thread Set - Save $50!